I think that most of you know that I'm on a diet after gaining the apparently standard Portland, Oregon food-induced weight. But it's rough to battle your cravings for amazing food-cart fare, inventive mixed drinks, and fantastic bar food on every single corner. So I have been trying to implement some tricks to allow treats into my new diet-friendly lifestyle. First? I am increasing the amount of walking I am doing on a daily basis. I already walk to and from work - 2.6 miles roundtrip. For my lunch breaks, I've been trying to walk along the water, walk home again, or walk to the mall to browse with colleagues. That usually adds on anywhere from one to two and a half miles into my day. It also lets me get out of work and speeds up the afternoon. Second? I am cutting down my weekday calories. No more chips at work. Or animal crackers. Or cheez-its. Or the myriad amazing foods that are lingering in the work cupboards (chocolate! cookies! trail mix!). I eat breakfast at home, bring my lunch and wait until I get home to dinner rather than jumping into the snack drawer. Third? I'm not drinking on weeknights unless I have enough calories left over to squeeze in a glass of wine. That is kind of tough when I am engaged to an awesome drink maker, have a well-stocked bar cart, and love to entertain. Sometimes, instead of forgoing a drink altogether, I opt to choose a low-cal cocktail. 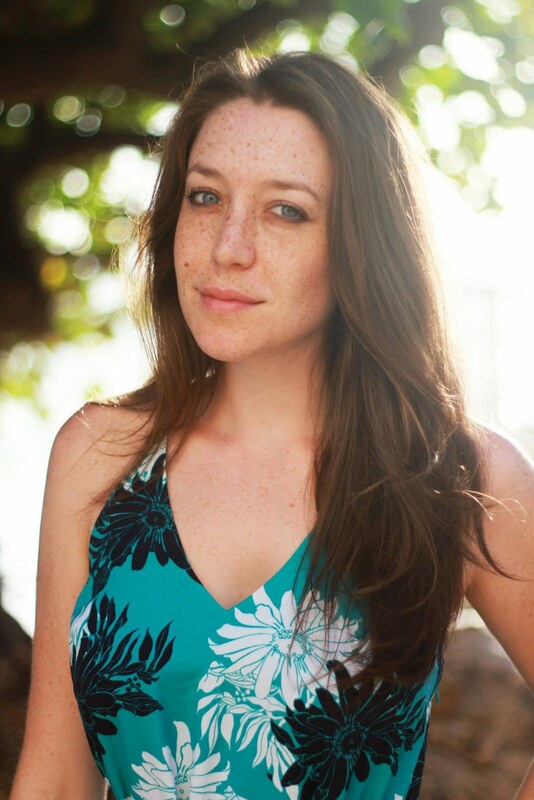 We usually love to drink moscow mules and other ginger beer-based cocktails in the summer-time but that adds on alcohol AND mixer calories into my evening. Introducing... the TEN calorie ginger ale from Canada Dry. Safeway actually has quite a few of the TEN calorie line that could make any cocktail deliciously less calories (usually about 100 calories less, woohoo! That's enough calorie savings to add in an after-dinner chocolate or two) - 7Up, Sunkist, A&W, and Canada Dry. 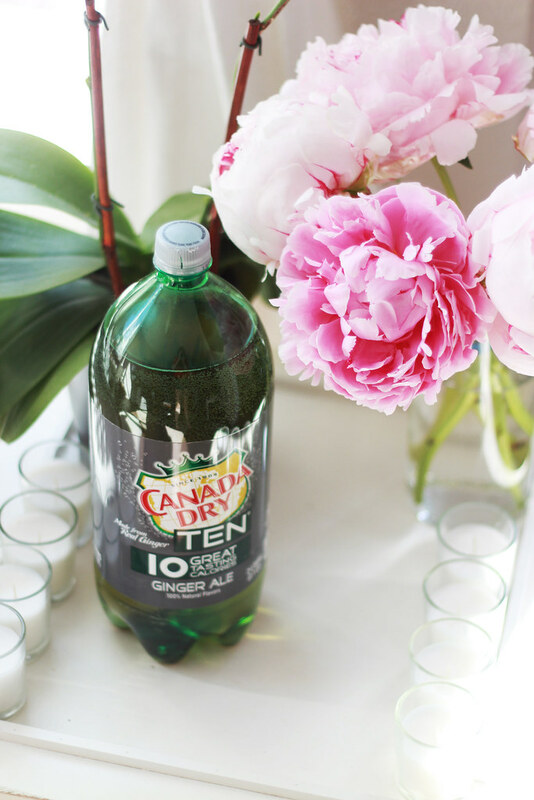 For ginger fans, Ben and I definitely stocked up on the Canada Dry TEN. We love ginger-based drinks, foods, garnishes, and just sipping on a ginger ale on any day that is accompanied with tummy upset. 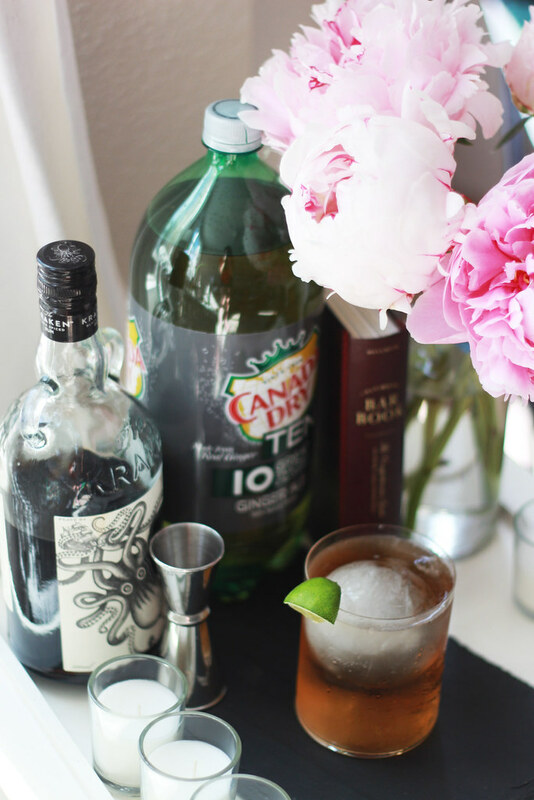 Keep reading to learn how to make a diet dark and stormy and snag a free 2L of this soda! Use this Just For U coupon at Safeway for a free 2L of any TEN beverage, while supplies last. I'd highly recommend the ginger ale for those that want a calorie break. But I'm also tempted to tell you to just skip it and go for A&W so you can enjoy root beer floats in the upcoming 80 degree Portland week! In an old-fashioned glass, add 1.5 oz. of dark rum, the juice from 1/4 of a lime, and a large ice cube. Top off with ginger ale and garnish with a lime wedge. Enjoy on a hot day and don't feel guilty about the calories! *We traditionally use ginger beer for our cocktails, but that can be a bit spicy for some palettes and if you like sweeter cocktails it's not a great option. 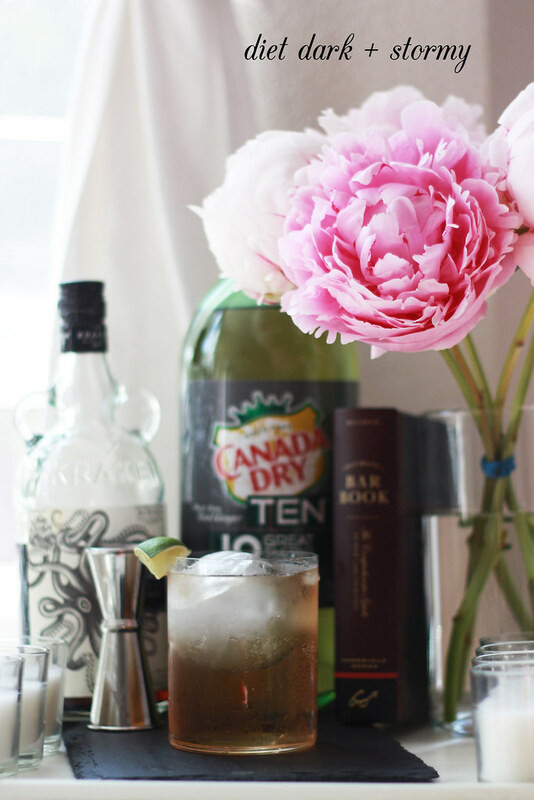 Using a diet soda in lieu of ginger beer, especially in a rum cocktail, does add a lot of sweetness. So if you're a soda-drinker, candy-lover, and dessert fanatic, this is going to be up your alley. If not, try a whisky ginger (substitute the rum for bourbon or whisky and subtract the lime). It should cut the sweetness. 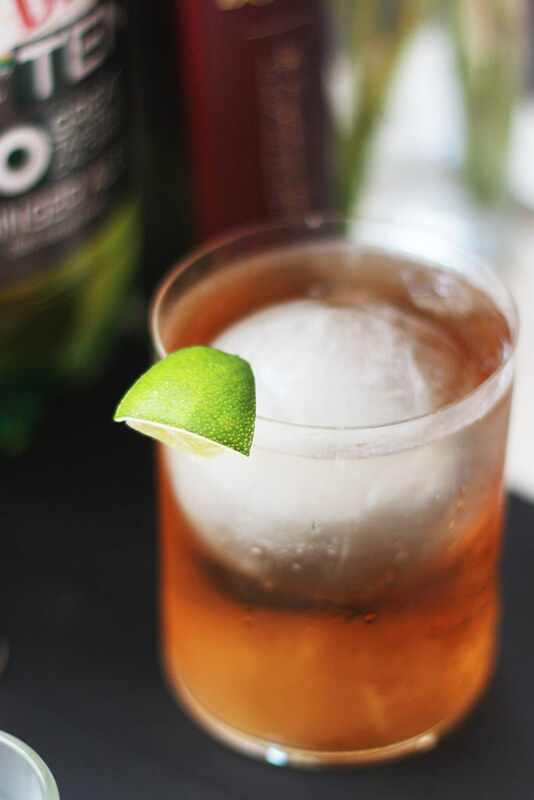 I have never tried ginger ale mixed with rum, but I love it with whiskey! I love all the low cal and sugar free soda options for mixers now! Good for you--getting active! I got a FitBit and it has made a big difference in the amount of walking I do daily. There's something about challenging myself to get 10K steps that has me up and walking around despite my office job at lunch and during breaks. PS--Have you had PBJ's Grilled? I know it's not exactly diet food, but hey if you're walking....It's AMAZING. I've never actually had ginger ale! I've always been curious about how it tastes so I'll have to give this lower-calorie version a try. those peonies are gorgeous- cute post! 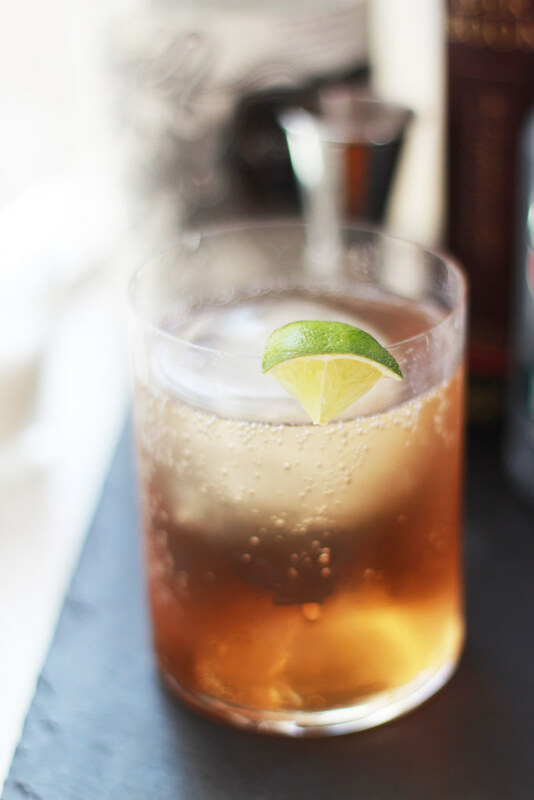 Love a Dark and Stormy - your version looks fantastic. Thanks for sharing!